Only God knows how bad it is for Khloe Kardashian to wake up to the claims of her hubby, Tristan Thompson being a serial cheater and the worst of it is, he cheated on her while carrying their baby, True Thompson. The trauma she felt cannot be compared to anything and we pray no one should experience this. How and when it happens still remains a misery to Khloe who just put to bed few weeks ago. So far so good, Khloe Kardashian has not commented on her baby daddy, Tristan Thompson’s shocking cheating scandal, all attempts to reach out to her has proven abortive however, she continues to stay in Cleveland where they are raising their baby, True. While it is not known what her next move will be, the new mum is said to be distraught and still weighing her options . 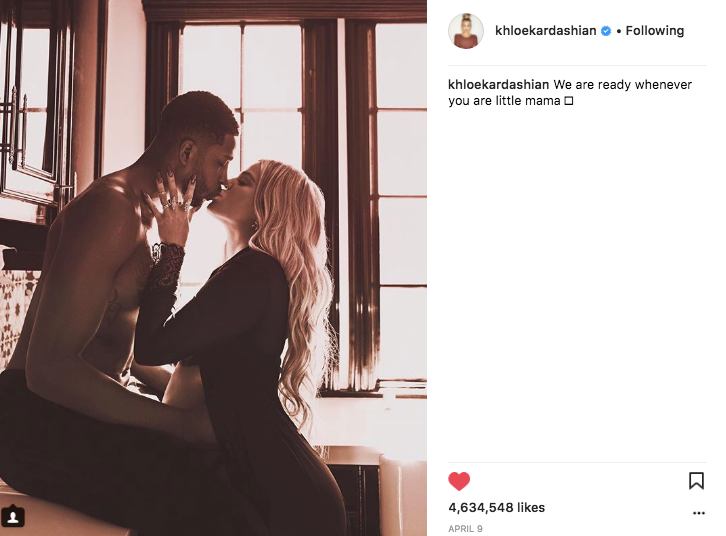 For now, she has disabled comments on all Instagram photos with Tristan and she has decided to remain mute awaiting when she's strong enough to handle all that her hubby, Tristan Thompson did to her.